Style icon Iris Apfel, Welsh designer Julien Macdonald and other personalities widely celebrated in the global fashion industry are set to come on board Cunard’s Queen Mary 2 enroute to the New York shows. Luxury cruise ship line Cunard has announced that global fashion influencer Iris Apfel is set to join the group of fashion icons who will come on board the Queen Mary 2 for the brand’s second annual Transatlantic Fashion Week, to be held between August 31 and September 7, 2017. At the age of 95, Apfel is internationally recognized for her unabashed maximalism and across-the-board influence. 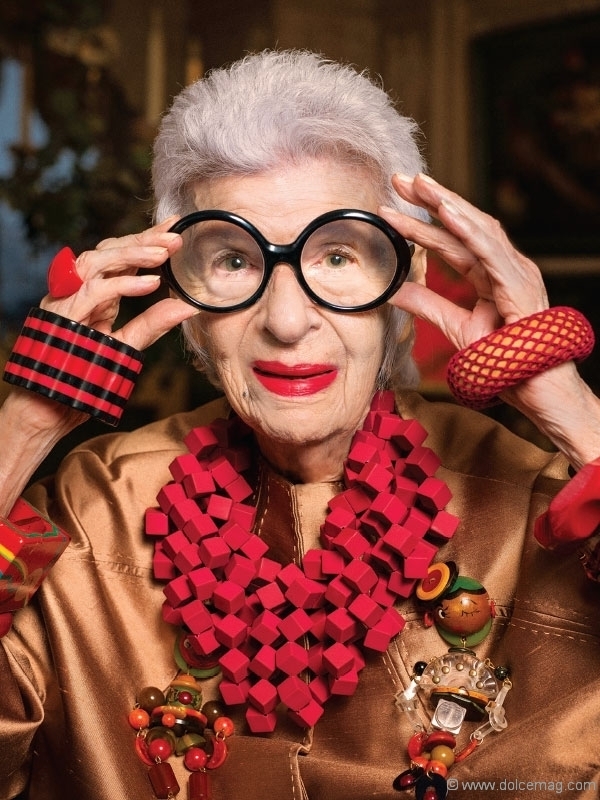 While her fashion choices have been featured in museum exhibitions and her own documentary, Iris, the style icon herself has appeared in numerous campaigns for brands such as Kate Spade, Macy’s and Swarovski, among others. 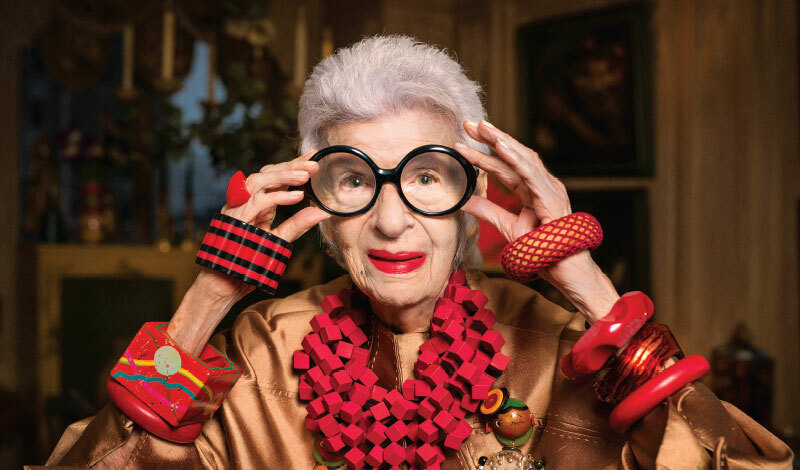 Easily recognizable in her eye-catching round glasses, Apfel has had a considerable impact on the use of oversized accessories, such as necklaces and bangles, and colourful, flashy clothing. During Transatlantic Fashion Week, businesswoman Apfel will host a Q-and-A session and is expected to screen her self-titled documentary. The short film explores her creative influences, her taste in fashion and her free-spirited decisions. Apfel was honoured at the recently concluded Canadian Arts & Fashion Awards held at the Fairmont Royal York. Paying tribute to individuals who have contributed to the Canadian fashion industry, the celebrity-packed annual gala celebrated the achievements of the 2017 winners and honourees. These included Apfel, who received the first International Style Icon Award, which recognizes her unique style as well as her contribution to the industry. Fashion designer Jason Wu presented the award. Headliners for the upcoming Transatlantic Fashion Week 2017 include designer Julien Macdonald, fashion historian Colin McDowell, and fashion industry consultant Gail Sackloff. Models from Storm Model Management will also be in attendance. Macdonald has been widely celebrated for his previous work for Chanel and Givenchy. Now recognized as a leading U.K. fashion designer, he has a notable clientele that includes celebrities Taylor Swift, Heidi Klum, Beyoncé and Karolina Kurkova, to name a few. McDowell has been acknowledged for his participation in the fashion business over the past three decades, which includes his couture and ready-to-wear designs and his work as a fashion journalist. Sackloff is known for sourcing prominent British fashion designers for Neiman Marcus, Bergdorf Goodman and other American stores. Now in its second year, Transatlantic Fashion Week invites guests to experience the glitzy charm of the Queen Mary 2, the only sailing ocean liner in the world. For seven days, guests will attend runway shows and dining events aboard the Art Deco vessel, as well as exclusive reveals, before docking in New York for Fashion Week.